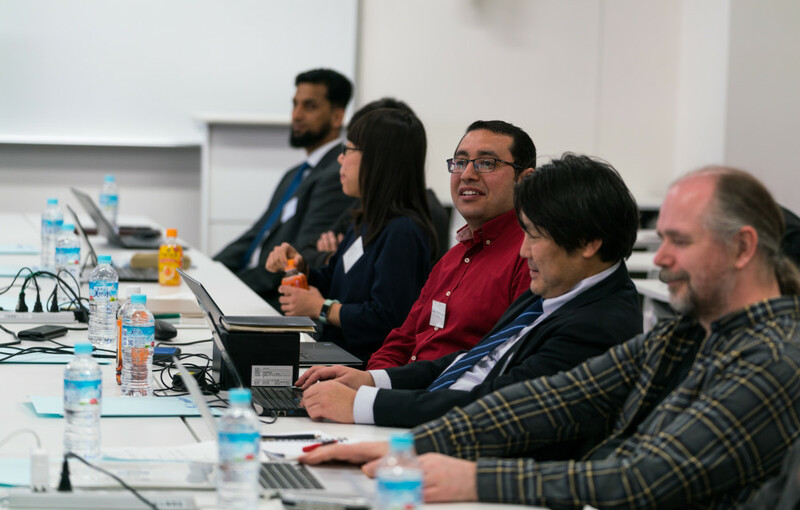 The Kyoto University of Advanced Science’s (KUAS) innovative engineering program took a major step towards becoming reality last December, when the entire faculty met for the first time at the university’s Uzumasa Campus in West Kyoto. Over a two-day period, the 21 future professors gathered to become acquainted with each other for the first time, carve out the final details of the curriculum, and visit the construction site of the new department’s building. During this time, the unique experiences, viewpoints and personalities of each of the teachers were on display. On top of this, the shared vision for the department also became pronounced. This immediately became clear once the proceedings started. While the professors were introducing their personal research, a common thread about the department emerged. The focus here was building upon what KUAS’ Chairman Shigenobu Nagamori has often repeated: bringing up students that like to challenge. This refers to an independent, imaginative, creative mindset. One point of criticism to the Japanese education system is the focus on entrance and exit exams, but there was consensus among the engineering faculty that this focus on regurgitation is fundamentally opposed to what an engineer is. A will to challenge thus ties in with the theme of practicality as well: there is wish among the faculty to raise students that are actually able to connect and apply the various things they have learned to create something new. This was repeated in the comprehensive review and finalization process of the curriculum. The clearest example of this is the Capstone Program, which acts as a terminal project that each student is required to undertake in their final year. In the program, students are divided into groups of 4-5 and presented with a problem from a major company in the industry. Through visits to and interactions with the company, the group will work on a solution and finally present it to both their professors and engineers from the company. This serves not only to develop problem solving and teamwork skills, but crucially to gain experience in a real-world environment, setting students up to become immediate assets upon graduation. Outside the Capstone Program, this theme of gaining skills that are essential to function as a modern engineer continues throughout the curriculum, with design, machine shop practice, laboratories, and project-based-learning (PBL) courses all taking prominent places. Another focus is of course language: while the entire program is in English, through mandatory intensive language courses (English for Japanese students/Japanese for international students), students are prepared to be fully bilingual upon graduation. For the professors themselves, one highlight was without a doubt the visit to the construction site of the Engineering Department’s brand-new building, where they were able to scour the floor plans and locate their future laboratory. While looking over the plans, additional key features of the program came to light. First, as with most engineering programs, students are assigned to a professor in second half of their studies. While traditionally this leads to students’ interactions being limited to their assigned lab, KUAS is planning to establish a large, open-concept learning commons. In it, each professor will have their own space, but the concept hopes to birth more interactions in between professors, students, laboratories and fields of research. In addition to this, the university is looking to bring a touch of the culture of Kyoto’s technological sector. 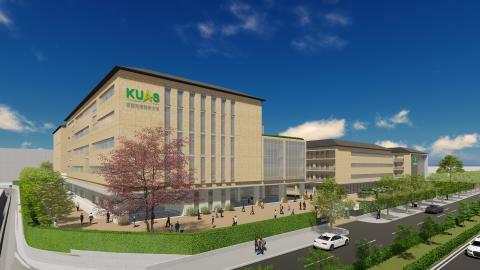 While companies have traditionally built dormitories for their workers adjacent to their factories, KUAS will feature about 80 rooms for its students within the Engineering Department’s building. [News] The Engineering Department of the Kyoto University of Advanced Science launches newsroom! In 2020, the Kyoto University of Advanced Science will launch its all-new, English-language taught Engineering Department out of its Uzumasa Campus in Western Kyoto. 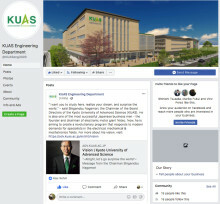 Featuring a unique educational style that includes gaining real-world experience at top Kyoto companies, we hope to equip our students with the skills to be able to immediately contribute to the world of engineering upon graduation.